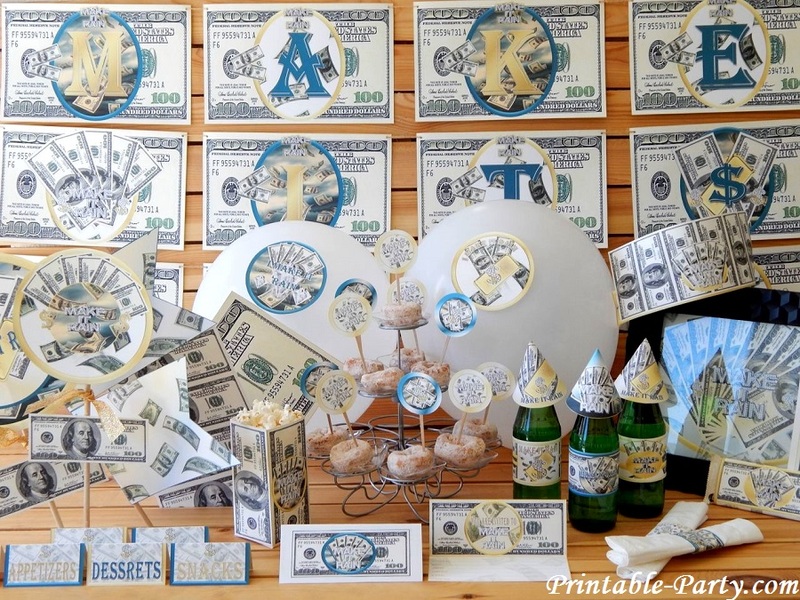 Cool printable money party supplies, to create a fun money themed celebration. Use your imagination to add some dazzling style to your event with this printable PDF kit. You can decorate your party to look lavishly to perfection. 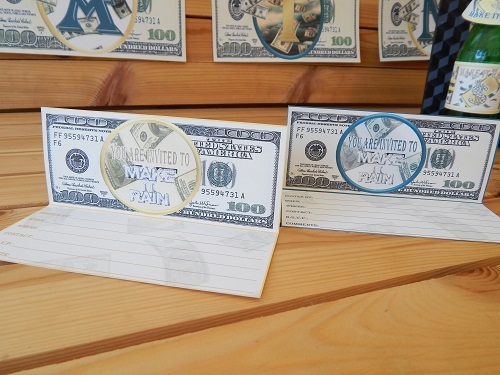 Hang money from the ceiling on strings, create money streamers, & more! This unique theme is blasted with golden, money green, & dark aqua colors. 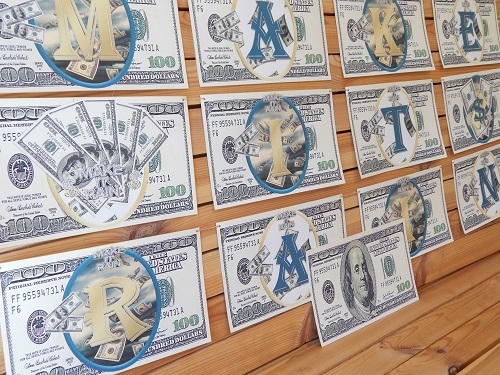 Decorate by using fun cutouts of giant sized money, fun play money, gold bars, & raining money. 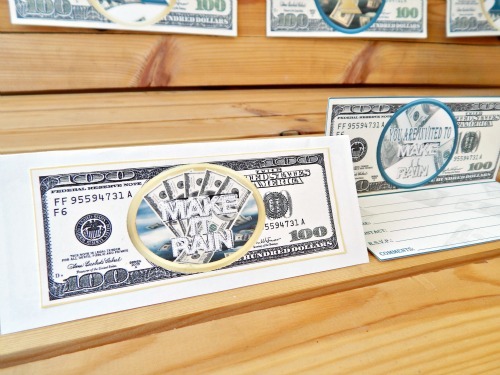 You'll also see a little bling embedded throughout this printable money party decoration kit. 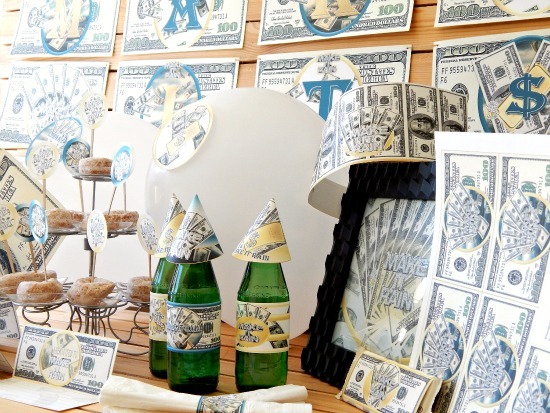 This printable themed set is great for celebrations like birthdays, just for fun parties, club parties, graduations, engagement parties, promotions, & more! Made for personal use only no sharing or resales allowed. After purchasing instant downloads, You will receive your order via link instantly afterwards. Your order link will also be sent to your valid email address along with printing information. You can print unlimited amounts of supplies & any pages you need to complete your decoration needs. Your printables can be used year after year or as long as you keep your files saved. 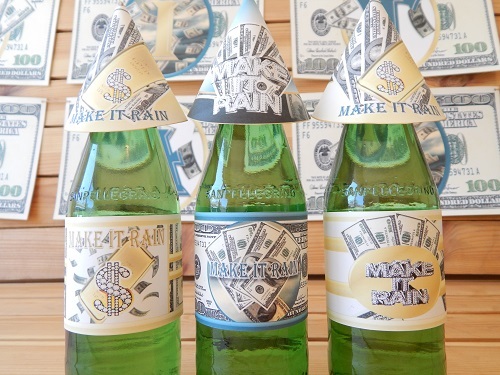 Printable party supplies will print out clear & nice on your personal or office printer. Our printable files can also be saved onto your disk or storage device. You can then take the saved file to your local print shop or office store to be printed. Printables look cool printed on thick card stock paper found at any office supply store. We use white 110lb 8.5x11 inch flat card stock paper when printing supplies. Orders should be opened with the latest version of Free Adobe PDF Reader for viewing, printing, or, adding digital text onto your printables. If you have any further questions about how our printables work or to learn how to add digital text onto printables View Our FAQ or Contact Us. Coming Soon New Single Items! 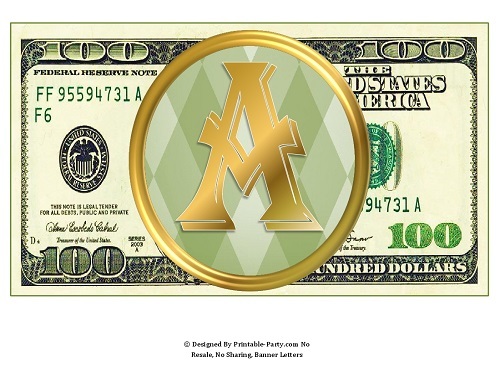 Money themed party invitations come with two designs & two sign to be pasted onto the front of centerfold invites. Hand write your party details or add digital text. 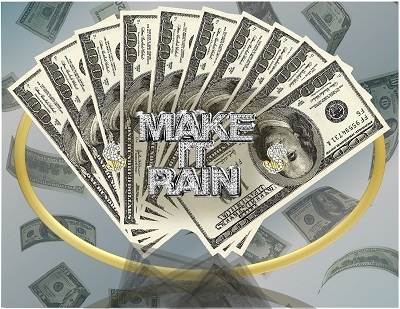 Includes 10x6 Inch banner letters that spell out the words (Make It Rain). 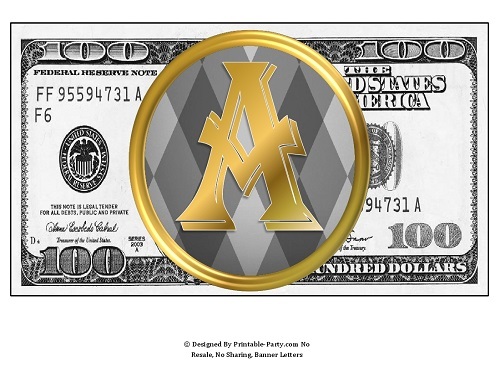 Also included are two decoration flags & one large 100 dollar bill design. 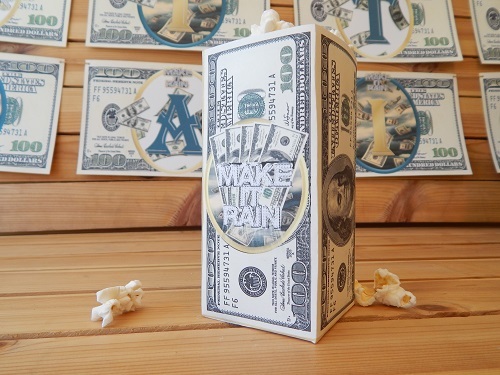 3x6 snack box is designed with raining money & a little bling. The snack box can be used to place dry snacks or cool thank you gifts inside. Looks cool in a cello bag too. 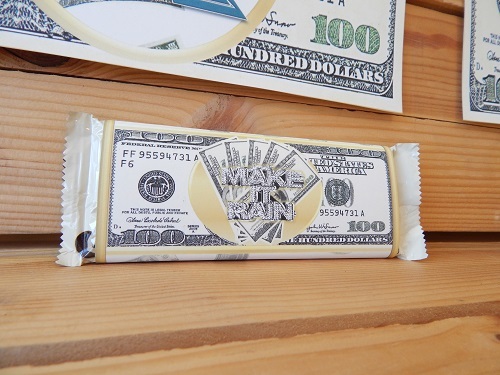 Candy bar wrapper party favors. A great way to say thank you for coming to my party. These wrappers fit around a regular sized 1.55 oz Hershey brand chocolate bar. These labels come with 3 different designs. Drink wrappers fit around any personal sized bottled drink. Also includes mini bottle toppers hats in 2 designs.